Ahead of Continental Tyres third year as Prudential RideLondon’s official safety partner, the premium tyre manufacturer has released a new study of 2,000 motorists that reveals nearly half of respondents believed aggressive behaviour was more likely when different road users interact, rather than in other interactions with people off the road. The road users interviewed pointed to the anonymity driving offers as the main reason for their aggression. While those who also cycle named the stress of being in traffic as the main cause of road rage. The risk of injury and vulnerability prompted 90% of dual cyclists/motorists to say they are defensive when in the saddle. Although nearly 60% of those interviewed believe this was also due to the stress of driving on today’s roads, a proportion - over 30% - expressed that on-road aggression was directly linked to a lack of education about other road users to prompt greater consideration. As part of Continental Tyres Vision Zero initiative and Sharing the Road campaign, the leading tyre manufacturer continues to work towards harmonising all road users to create safer roads across the UK. In partnership with London Cycling Campaign (LCC), Continental recently launched ‘Stay Wider of the Rider’, an initiative aimed to educate cyclists and drivers about the distance that should be left when motor vehicles overtake cyclists. Following a launch event at the House of Commons, LCC encouraged cyclists to flag their close pass experiences at www.staywider.org. In the two weeks of being live, the close pass map has racked up over 600 close passes and counting – highlighting the need for education of the highway code amongst both cyclists and motorists. Mark Griffiths, safety expert at Continental Tyres, said: “It is easy to see how a legitimate sense of vulnerability impacts how cyclists use the road. This problem highlights the importance of the collaboration of all road users to ensure maximum safety, and the reason Stay Wider of The Rider is such an important campaign. “Education and awareness is a core focus of our Vision Zero Initiative to eliminate collisions and fatalities. By demonstrating how our behaviours can affect other road-users, and educating people on how to share the road safely, we intend to make the roads safer for everyone. “With the school holidays about to begin, we’d expect many more cyclists on the road, and on different roads as people staycation in the UK. So, it is vital that road users communicate effectively. Continental are continuing to support all road users with its third year of sponsoring Prudential Ride London. Activation during the event includes exhibiting the very latest in tyres and rubber technology at the RideLondon Cycling Show at ExCeL, as well as an interactive zone in Green Park and Continental branded safety captains helping keep riders safe on the day. 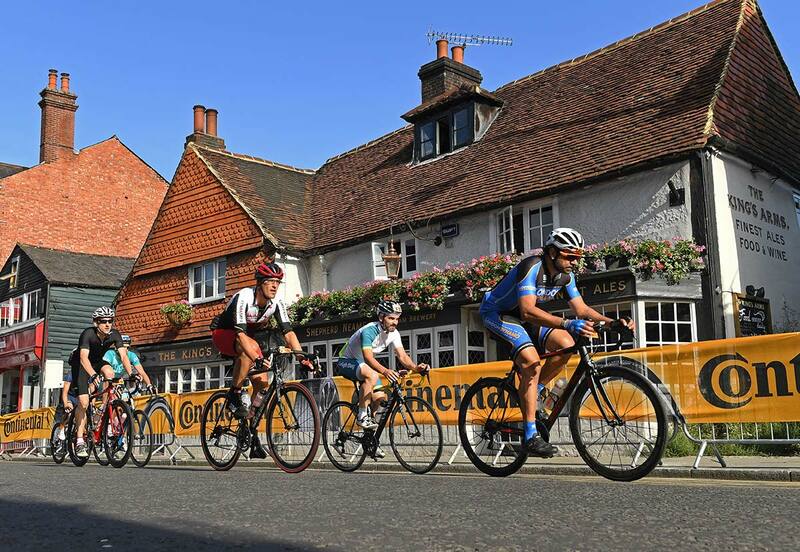 To find out more about the event, visit www.prudentialridelondon.co.uk.